Thompson, Margaret W. and Erin James-abra. "Norma Ford Walker". The Canadian Encyclopedia, 15 January 2018, Historica Canada. https://www.thecanadianencyclopedia.ca/en/article/norma-ford-walker. Accessed 25 April 2019. Norma Ford Walker (née Ford), human geneticist (born 3 September 1893 in St. Thomas, ON; died 9 August 1968 in Toronto, ON). Ford Walker completed a PhD in zoology in 1923 at the University of Toronto, and as a faculty member became interested in human genetics. 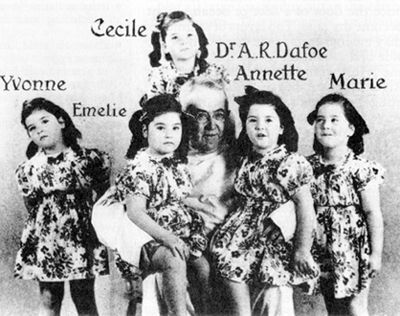 She established her reputation as an authority on multiple births with her research on the Dionne quintuplets. Her publications in genetics contributed to knowledge of a number of childhood genetic conditions and to the application of dermatoglyphics to clinical diagnosis. Through her work and that of her graduate students, who included the first appointees in human genetics at several Canadian universities, Ford Walker had a lasting influence on the national development of human genetics in medicine and as an academic discipline. Ford Walker received a bachelor’s degree from the University of Toronto in 1918 and her PhD in zoology in 1923. She wrote her doctoral dissertation, titled A Comparative Study of the Abdominal Musculature of Orthopteroid Insects, under the direction of Edmund Murton Walker, whom she later married. Ford Walker’s early research focused on insects in this grouping (such as crickets and grasshoppers) as well as the large gray fly (Wohlfahrtia vigil) and rock crawlers (Grylloblattodea). 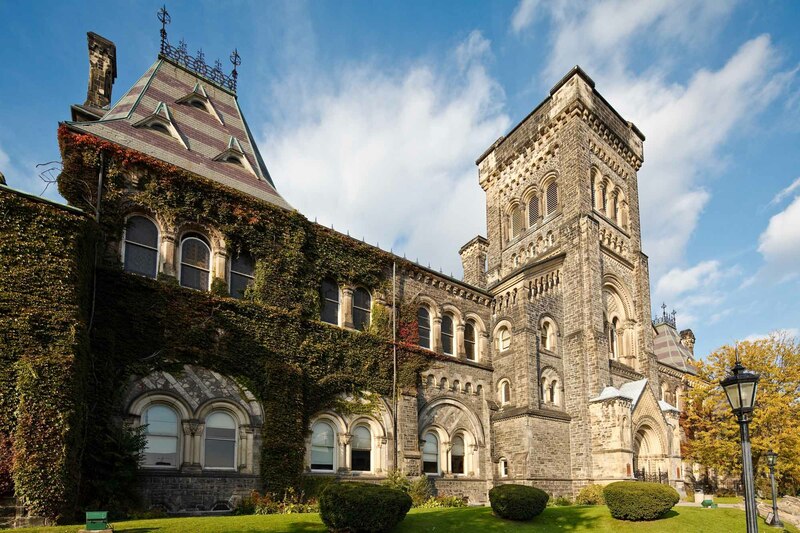 As with her education, Ford Walker’s entire professional life, from 1917 to 1962, was spent at the University of Toronto. From 1917 to 1918, she was a class assistant in biology, and from 1918 to 1923 a special assistant in household science (see Home Economics). After finishing her doctorate, she was hired as a secretary in the zoology department. In 1924, she became the department’s first female instructor. Gradually, she rose through the ranks of academia, being promoted to lecturer in 1925, assistant professor in 1930 and associate professor of human biology in 1937. Though sources disagree on the timeline of Ford Walker’s professional achievements — especially those of her late career — research by health-sciences historian Fiona Miller suggests that Ford Walker’s position changed to associate professor of human genetics in 1949 and to full professor of human genetics in 1958, just four years before her retirement. In addition, in 1940, she began work as a part-time consultant for the Hospital for Sick Children in Toronto. Despite her background in invertebrate zoology, Ford Walker was drawn into the study of human genetics following the birth of the Dionne quintuplets in 1934. The quintuplets became the subjects of a research study coordinated by the St. George’s School for Child Study at the University of Toronto. Ford Walker and a colleague were tasked with finding out whether or not the five girls were genetically identical (they were). At the time, human genetics was considered a “lesser science,” and had the reputation of being “messy.” As a result the field was open to female scientists, who were also considered “lesser” among their male colleagues (see also Women and Education). Ford Walker became a pioneer in the field of hereditary, or genetic, counselling, a profession involving the interpretation of medical histories and the chance of disease reoccurring within a family (see Genetic Diseases). She was also known for her use of dermatoglyphics — the study of skin patterns on the hands and feet — as a tool for researching twins and syndromes such as Down syndrome.